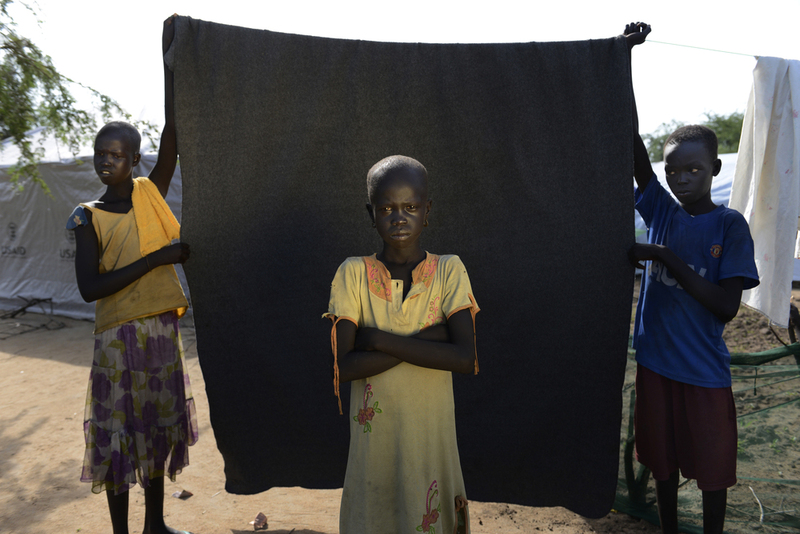 The blanket symbolises the protection that these girls need. Outside this protected area is unsafe because of the fear of sexual violence and especially the fear of a future without security and peace. However, they are not alone as there are safe shelters where they can go to share their stories and get support and community workers to identify vulnerable families and offer help. 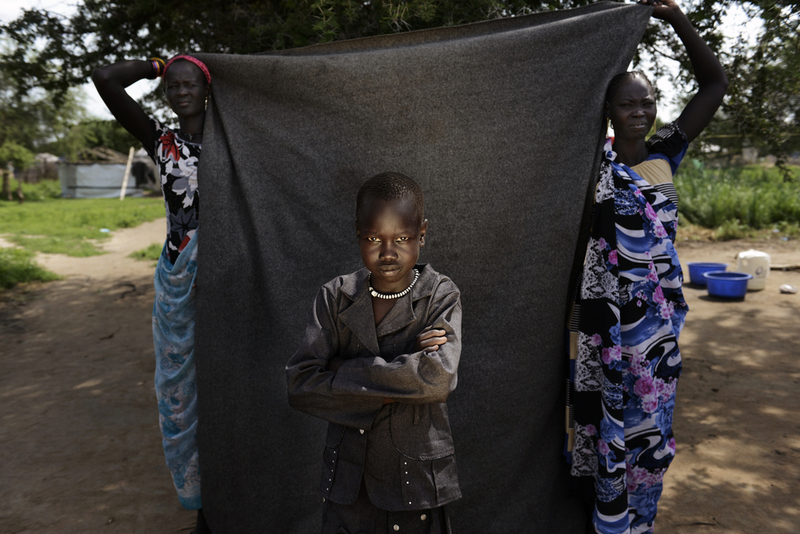 The instability that has been created by conflict in the newly independent South Sudan has impacted particularly on young women, especially those living in camps for IDPs. They risk and fear sexual violence while going about their daily lives, doing such things as collecting wood in the forest. Photographer Chris de Bode photographed and spoke to some of these girls at Minkaman refugee camp. They stand against a blanket that is held by people who play a significant role in their daily lives.